The film is The Theory of Everything. The film is directed by James Marsh (Oscar winner for the documentary Man on Wire). The screenplay is written by Anthony McCarten based on the book Traveling to Infinity: My Life With Stephen by Jane Hawking. Stephen Hawking's parents, Frank and Isobel had met at a medical institute in London at the start of WWII. Both had been students at Oxford. Frank had studied medicine, while Isobel studied Philosophy, Politics, and Economics. Stephen Hawking was born shortly after, January 8, 1942. He would go on to have two younger sisters and an adopted brother. Hawking's family high value education, and he attended Saint Albans in London where he was connected with friends and mathematician Dikran Tahta, with whom he did projects such as creating a computer from clock parts and who inspired him to study mathematics at University. In 1959, at the age of 17 he breezed through his university years at Oxford and then went on to begin his graduate work at Cambridge in in 1962. At Oxford he had been bored with his studies and had been engaged with a rowing team. But at Cambridge, life began to change when at 21 he was diagnosed with motor nueron disease at the age of 21, his speech began to slur and he experienced some general clumsiness and challenges with motor skills such as rowing. Given a life expectancy of two-years he struggled with depression while at the same time also developed a relationship with his sister's friend Jane Wilde with whom he would become engaged to in 1964 -- the relationship helping him through those initial challenging years as his motor skills continued to decline. They would be married in 1965. Continuing his studies during this time, he spent a lot of time on physics topics including the big bang theory and black holes. Hawking obtained his PhD degree in 1966. Continuing his work in physics Stephen stayed busy, while his wife Jane was also obtaining her own PhD. While keeping his physical challenges a subject not spoken about, Jane carried a great deal of the burden's for domestic life. In 1967 they would have their first child, Robert, followed by Lucy in 1970. Hawking would publish his first book with fellow physics and leading cosmology theorist George F. R. Ellis in 1973 called The Large Scale Structure of Space-Time. As Hawking continued his studies in quantum mechanics continued and developed public interest in black holes grew and Hawking was regularly interviewed and in the public eye. In 1979 he and Jane would have their third child, Timothy. Around that time Hawking was also appointed the Lucasian Professor of Mathematics at the University of Cambridge. Stephen's notary continued to grow and his studies and writings continued to gain increasing interest. He also would lose his voice and begin to use a speech generating device. Jane and Stephen's thoughts on religion would become more and more different as Stephen's religious beliefs which were contrasting with Jane's growing devotion to God. In 1992 Hawking picked up a wider audience when Errol Morris did a film version of of Hawking's 1988 book A Brief History of Time: From Big Bang to Black Holes. This book would become a best-seller, selling more than 10 million copies over the next twenty years. Stephen and Jane would divorce in 1995 when Stephen decided to leave Jane for one of his nurses Elaine Mason with whom he married in 1995. Hawking had a unique pop culture populaity during the 1990s with an appearance on Star Trek and The Simpsons as well as having his synthesized voice used in the Pink Floyd song "Keep Talking." This continued into the next decade with some more serious subject matters including documentaries and television appearances as well as continued character work on shows like Futurama. In 2006 Stephen and Elaine would divorce and Stephen became increasingly involved in the life of Jane, his children, and grandchildren. Jane published the book Traveling to Infinity, My Life with Stephen in 2007. Stephen Hawking continues to speak, write, and make public statements - often statements which are controversial and tend to deal with a variety of subjects including politics and religion. He also has continued to receive recognition and honors for his work in the field of physics. The film The Theory of Everything focuses on the romantic relationship of Stephen Hawking and Jane Wilde in the 1960s at Cambridge. In addition to staring Eddie Redmayne as Stephen, the role of Jane is played by Felicity Jones. Supporting performances in the film include Emily Watson (as Stephen's mother Isobel) and David Thewlis (as British physicist Dennis W. Sciama). 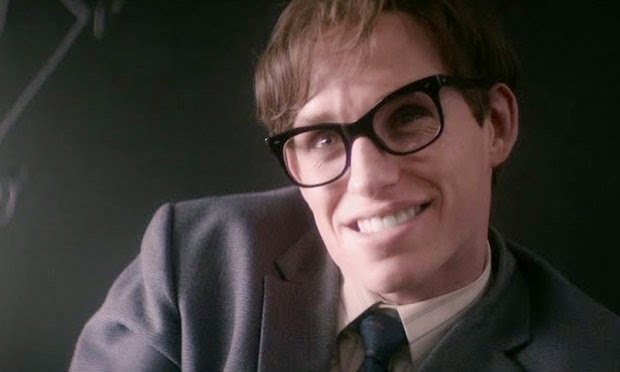 Will Eddie Redmayne receive his first Oscar nomination for his portrayal of this Real (Reel) Person? 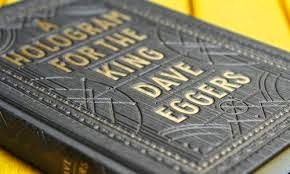 Just finished the book A Hologram for the King by Dave Eggers. I told my wife the other night that if Oprah was a white-man than this would be on his book club list. 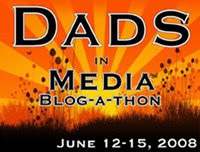 But, men don't typically have book clubs and read books together and discuss how they relate to the feelings and experiences of the characters, discuss the themes and plot - so since this is not White Oleander or Where The Heart Is, so maybe it never has the chance to grab that type of group-love. But instead a story about a middle-aged sales man who goes with a group of young business people to present an energy plan to the king of Saudi Arabia, in hopes of landing a big contract for a new development underway. So they sit in a tent, waiting for the king to present the hologram presentation. He goes to the hotel. He laments his past, his crazy ex-wife, his career, and globalization. Oh, and he's obsessing about a growth on his neck. It's lovely. It's well written - it's interesting, even though hardly anything happens. In many ways, one of the most interesting thing plot wise is the friendship he forms with a Saudi man who drives him between the hotel and the remote future city being developed. I won't lie, it's the type of book that is an interesting read, because I have to think that despite the unique setting that many cannot relate to personally, the themes, emotions, and life reflections have to resonate with the current American experience. I'm not sure the story would grab all readers, but I certainly enjoyed the read - Eggers is a great writer and could probably write about a man watching butter melt and it would be strangely insightful. This 2012 book, a finalist for The National Book Award is being made into a film directed by Tom Tykwer (Run Lola Run, Cloud Atlas), with Tom Hanks playing the main character (Alan Clay). It'll be interesting to see how this comes to the big screen, being that it's plot is basically the story a man in the desert obsessing about neck growth.